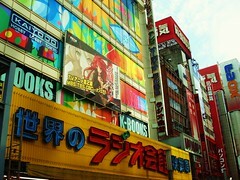 About Japan...When Kristen and I take off on April 22 of this year our first destinaiton will be Japan. For me, it will be my second time there and for Kristen, it will be her first. In fact, it will be her first time setting foot in Asia. As of now we have a pretty good itinerary put together. We start off in Tokyo and then head to mountain resort of Hakone. From there we go to Takayama which is supposed to be very rustic and similar to ancient Japan. After we head to Kyoto, Osaka and then Nara/Mt. Koya-san. Next, we venture to Hiroshima and then finally to Fukuoka, where we will depart for Bangkok. It's a condensed Japan trip, but it will be very beautiful and educational.